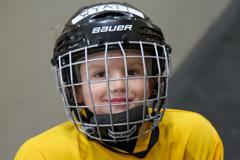 - Hockey -- Prerequisite Required. See Below. 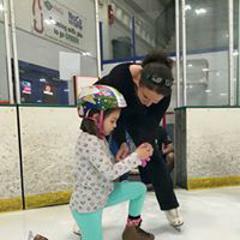 Allows parents to introduce skating to kids ages 2-4 to become comfortable on the ice. Parents skating in this class should be able to skate forwards and backwards comfortably on their own before they enroll. The Parent/Tot class is only one adult per child. Once this class is complete, kids advance to Snowplow Sam. Snowplow Sam levels are for ages 4-6 year olds. 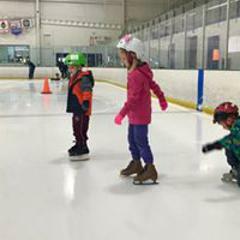 They are introductory classes divided into four progressive levels allowing children with no prior skating experience to build confidence while learning the basic skills of skating. These classes with levels one thru four are designed to help children develop the ABCs of movement – Agility, Balance, Coordination and speed. The ABCs are essential for developing fundamental movement skills and physical literacy. All classes will be taught in a safe and positive environment, incorporating fun and games making class time an enjoyable experience for all. 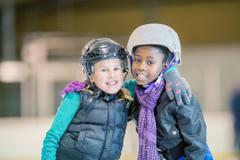 Basic Skills are for skaters ages 7 and older. 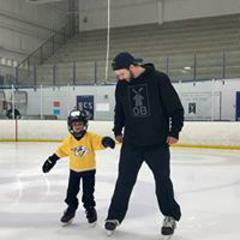 They teach the FUNdamentals of ice skating and provide the best foundation for all types of skating -- figure, hockey and speed. Six progressive levels introduce forward and backward skating, stops, edges, crossovers and turns. 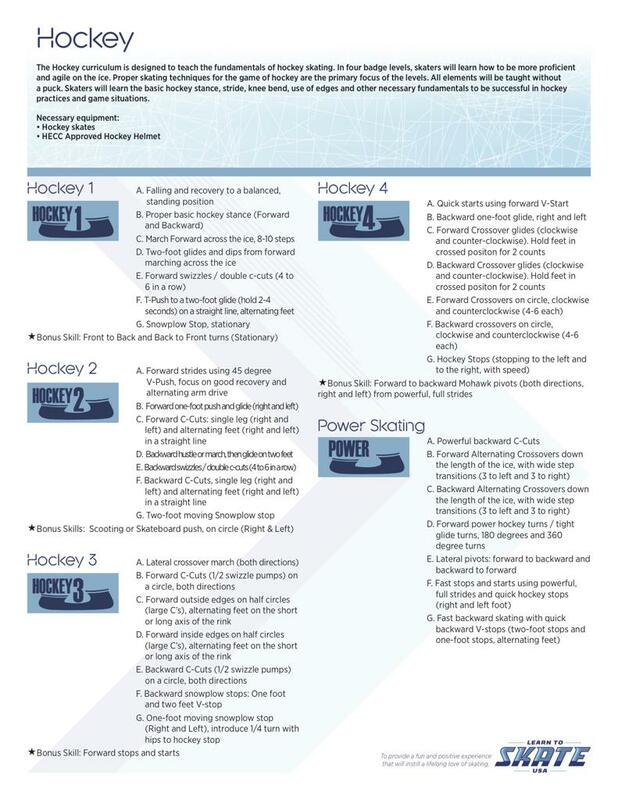 Upon completions of the Basic Skills 1-6 levels, skaters will be able to confidently advance to more specialized areas of skating. All classes will be well-structured with the focus on proper skill development taught in a positive, FUN and social environment. 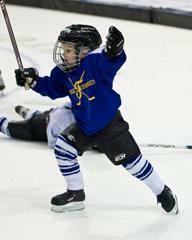 Skaters will progress at their own rate and advance after skill mastery is demonstrated. Hockey players are encouraged to complete ALL 6 BASIC LEVELS to continue skill development as a complement to their hockey season. Please see below charts for what skills are required in each level as they do include forward and backward crossovers. 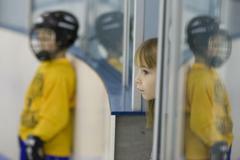 Hockey curriculum is designed to teach the fundamentals of hockey skating. 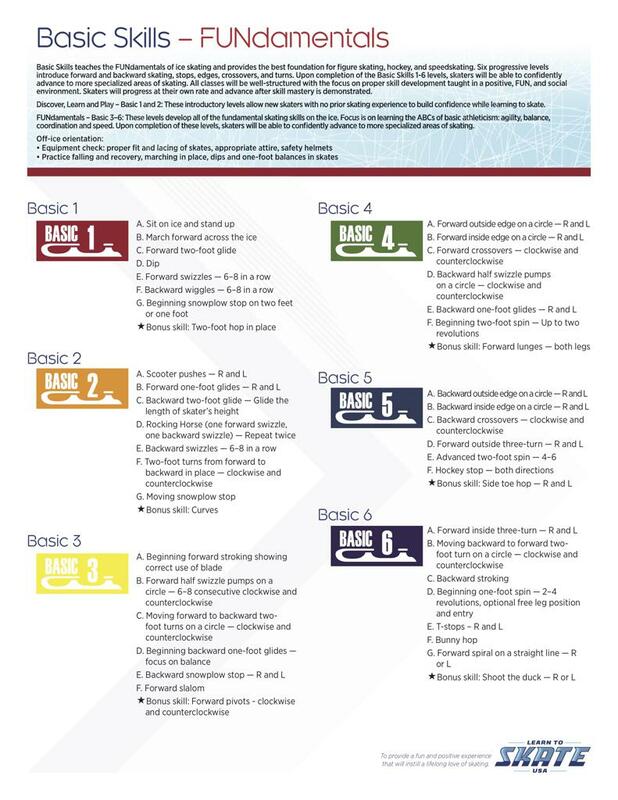 In four badge levels, skaters will learn how to be more proficient and agile on the ice. Proper skating techniques for the game of hockey are the primary focus of the levels. 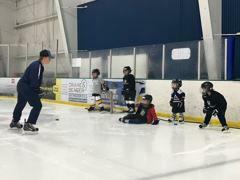 Skaters will learn the basic hockey stance, stride, knee bend, use of edges and other necessary fundamentals to be successful in hockey practices and game situations. 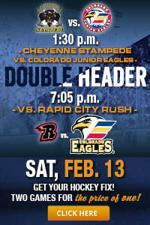 Full gear not necessary, but helmets and sticks are required and shin guards are recommended. 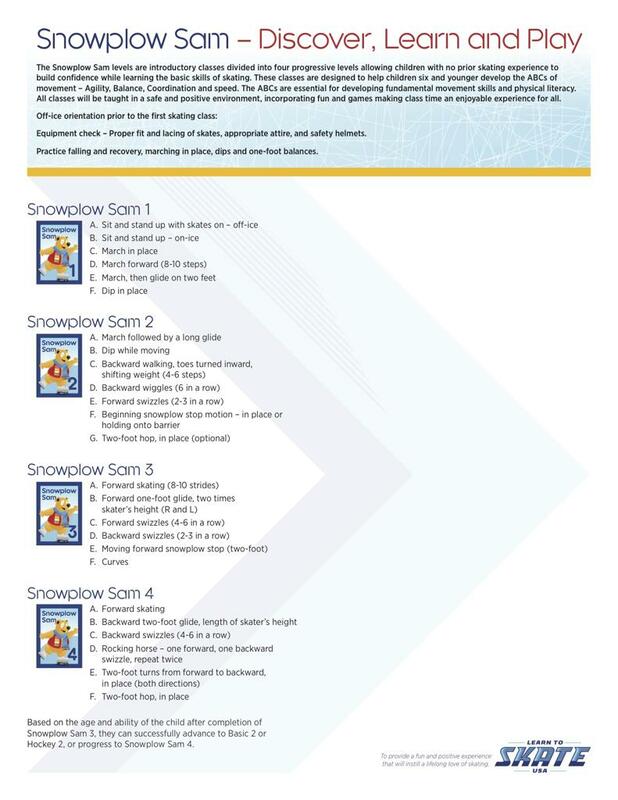 HOCKEY PREREQUISITE: All Hockey LTS Participants must have passed Snowplow Sam 3 or Basic 2 prior to registering for any of the Hockey Classes. 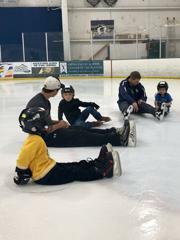 The Adult Curriculum is designed for both beginning and experienced adult skaters who wish to improve their skating skills. 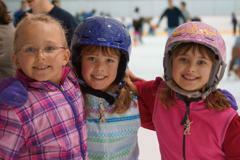 Participation in the program will help promote physical fitness and improve balance and coordination while teaching proper skating techniques. This is an exciting program for people who look to skating as an enjoyable part of a fit and healthy lifestyle. Divided into six levels from basic skating to more advanced skills, adult skaters will progress at an individual rate while being challenged and motivated.